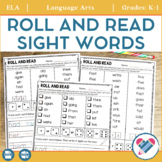 This no prep Roll and Read bundle includes Fry's 1st, 2nd, and 3rd 100 sight words! 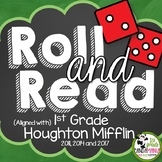 You could laminate them to make a fun center or even send it home as a practice game for students! 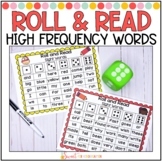 Here is a Roll and Read game to provide practice on those sight words that are visually similar. Depending on grade level, it could be used for remediation or enrichment. 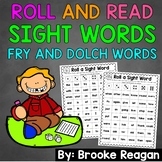 This pack includes thirty Roll and Read Sight Word Games that will last for an entire year! 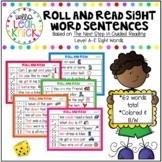 The set covers the 195 first grade sight words taught in the McGraw Hill Reading Wonders program. Just at dice and a game piece and you have a fun review for each week!